Modern Day Bible Stories by award-winning author Michele Chynoweth bring stories in the Bible to life for today's readers with contemporary characters and plots so they can better understand and relate to God's messages of faith and hope. Michele's universally-appealing inspirational novels are filled with drama, suspense and romance and include "The Faithful One" based on the Book of Job, "The Peace Maker," based on the story of David and Abigail in the First Book of Samuel, and her newest release, "The Runaway Prophet" a fast-paced thriller based on the Book of Jonah. The Runaway Prophet by Michele Chynoweth is an inspiring story that will entertain and enlighten readers. What happens when a man tries to run away from his calling to embrace the path of justice? Rory Justice is a divorced man who only cares about doing his job and living a normal, upright life. Upon his deathbed, his father, an ex-FBI agent, makes an unusual request, asking Rory to deliver a package to a sheriff in Las Vegas. He finds out the letter is a warning about the horrific plan of terrorists to destroy the entire city. Instead of delivering the letter as expected, Rory decides to take the easy way out and post it. What happens when he tries to run away is what will blow the reader’s mind. Michele Chynoweth is a master at creating powerful conflicts and the kind of suspense that makes the read even more gripping. The use of a definite deadline to solve the problem and stop the bad guys creates a lot of excitement and anticipation, and readers will want to know if the heroes can succeed before time runs out. 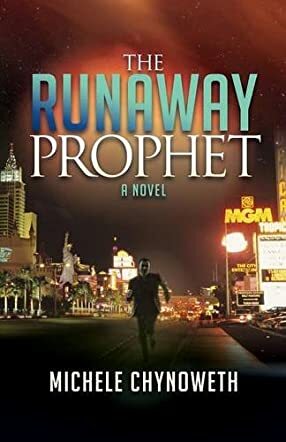 The Runaway Prophet is well-written and the plot is more than perfect. You’ll never know what will happen next, no matter how hard you guess. The transformation that takes place in Rory, from being an indifferent man to working with a team of investigators and law officers, and most importantly to being capable of falling in love with Susan McAfree, is interesting. The author knows how to inspire readers by writing about her religious convictions without being pushy and boring. This is a book I’ll recommend to everyone looking for something thrilling and thought-provoking. Michele is a brilliant writer! Her talent of weaving in Bible stories to everyday life can literally transform the way you see the Bible. Brilliant book!